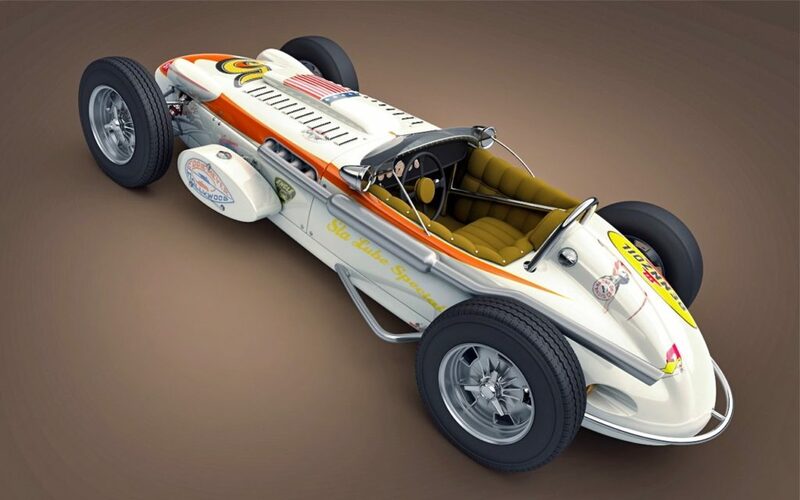 Hard-charging racer Mario “Larry” Parker’s latest street project channels two classic vintage Monoposto racecars and an INDY 7 Swedish design concept. 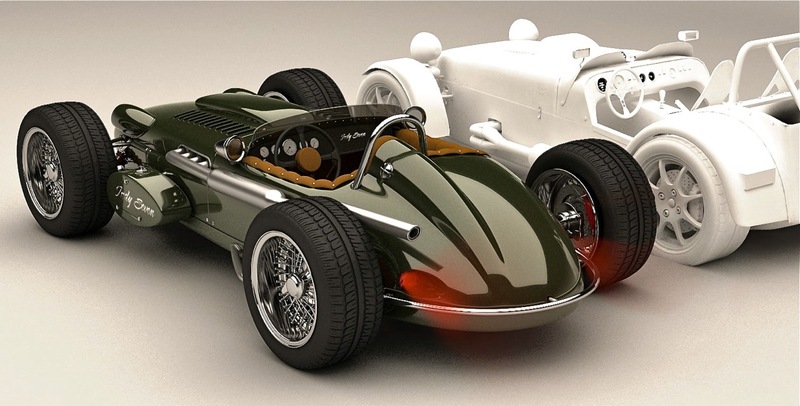 The inspiration for this project came from the ’57 Maserati 250F driven in Grand Prix competition by Juan Manuel Fangio and Stirling Moss, early-1960s Watson Indy 500 cars driven by A. J. Foyt, Parnelli Jones and Roger Ward, and the Bo Zolland Design Indy 7 Concept. These timeless designs are very similar and the Stalkerati has adopted many of their common styling features. For more functionality on the street, there’s seating for two! 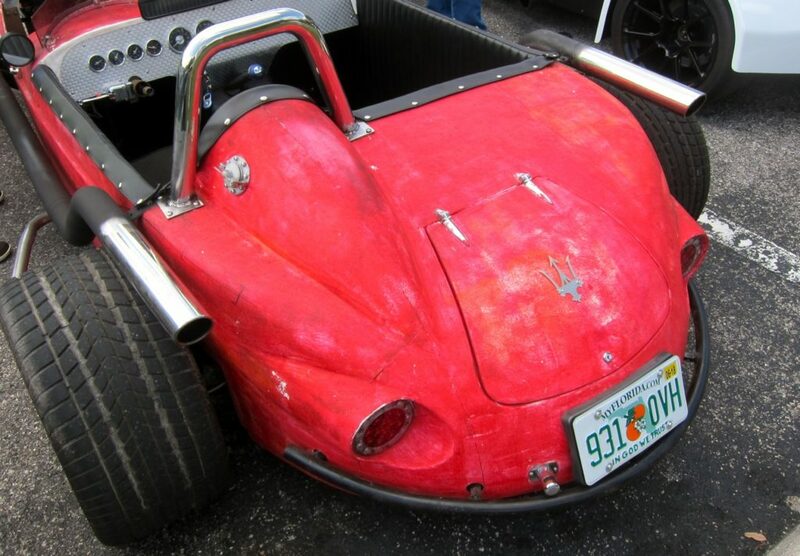 Local Sarasota, FL fiberglass artisan Dan Wilkinson at Fiero Fiberglass, produced a one of a kind two-seat Maserati/Watson homage body to fit atop a Stalker rolling chassis. Shane Hector at Mainly Trim in Sarasota created the custom trim. 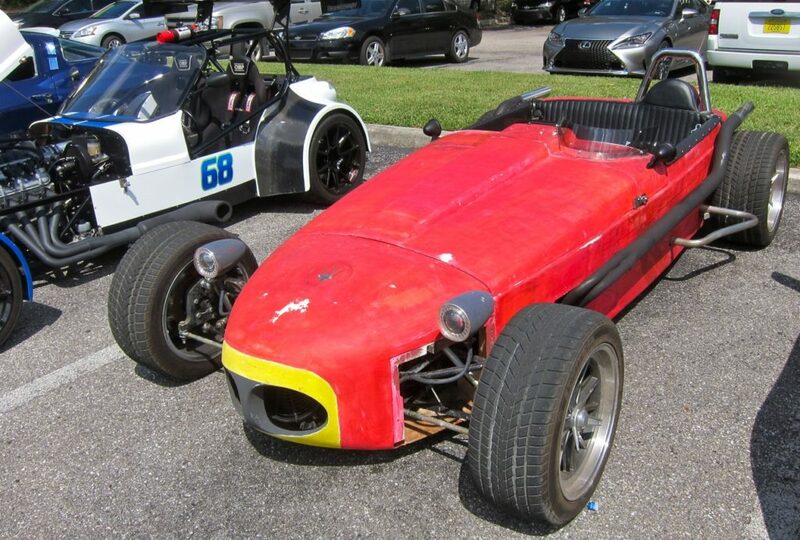 Stalker Cars, Clearwater, FL builds lightweight Lotus Seven-style lightweight kit cars offering a tubular chassis that accommodates GM 3.8L V6 or LS V8 powertrains. The front suspension consists of fabricated upper and lower control arms, coil-over shocks and rack and pinion steering. Rear suspension on this example is a GM Cadillac fixed differential with independent rear links and coil-over shocks. 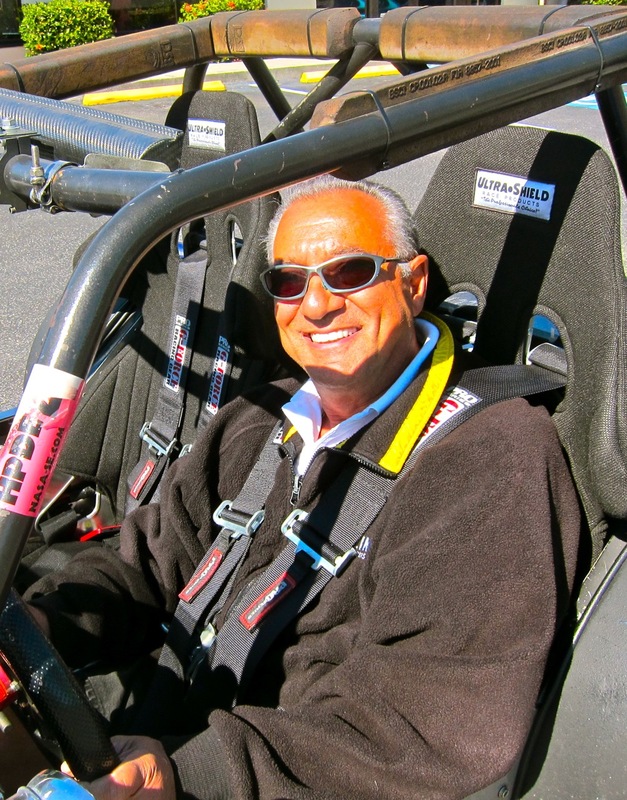 Wilwood four-piston disc brakes and 17-inch Halibrand knock-off-style alloy wheels are used all around. 2013 interpretation from Sweden’s Indy Seven Zollard Design. Weighing in at approximately 1,600 pounds, the 105-inch wheelbase Stalkerati is powered by a supercharged Buick/GM 3.8 Liter V6 producing 290 horsepower. 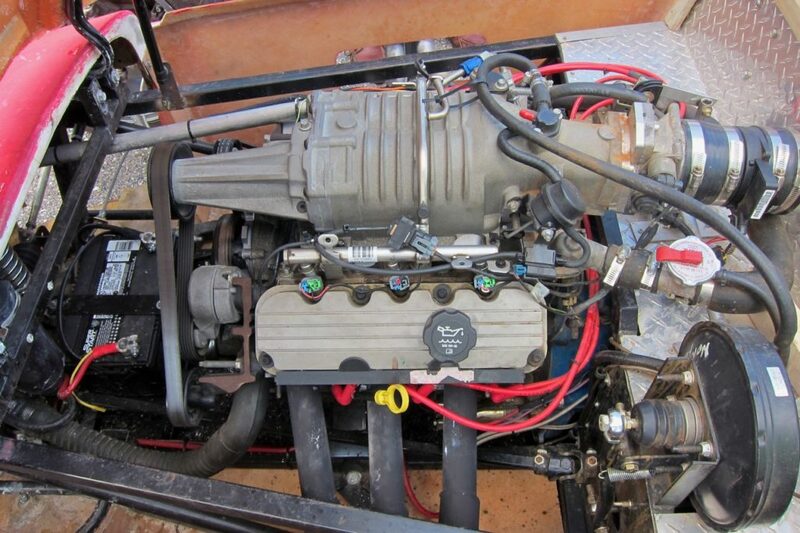 The engine is coupled to a five speed manual gearbox. Early-1960s Watson Indy 500 car driven by A J Foyt, Roger Ward and Parnelli Jones. 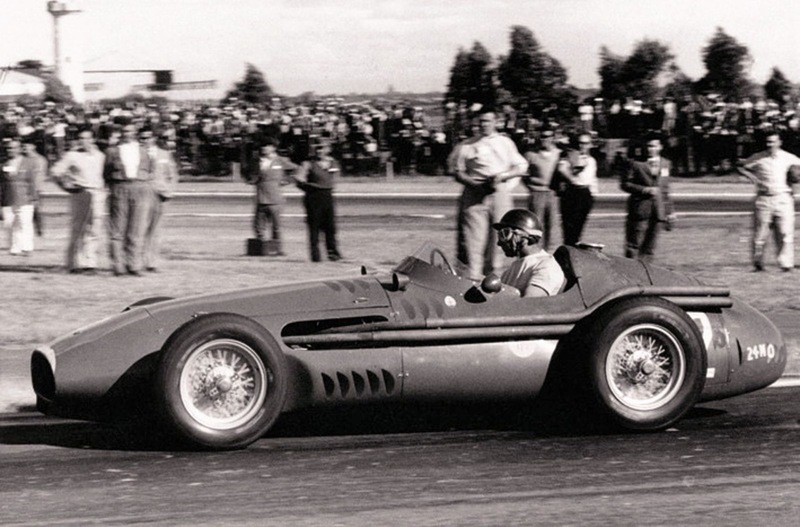 The street-driven Stalkerati (Stalker/Maserati) showcases period styling cues that support the marriage of a modern chassis and powertrain with the look of a classic 1950s-1960s Monoposto (single-seat) racecar. 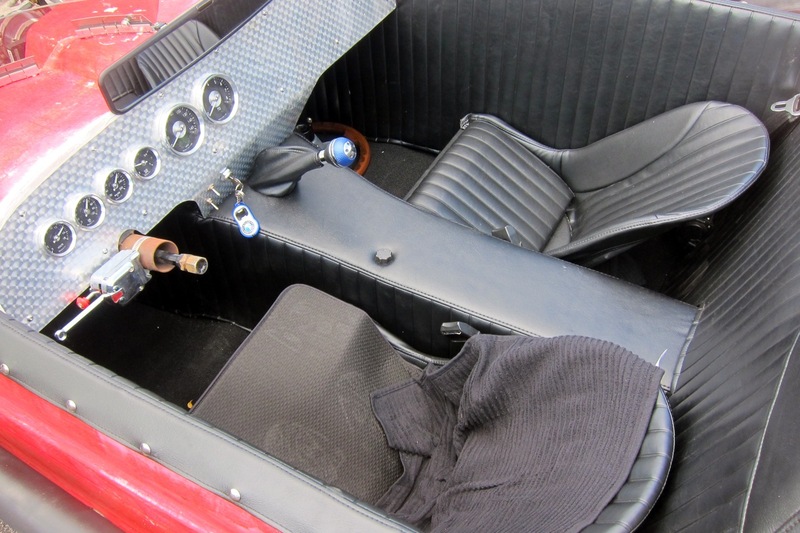 Style and functional features include exhaust routing over the rear wheels, engine-turned dashboard, twin curved windscreens, single roll bar, vintage side view mirrors, flip-top gas cap and rolled and pleated interior.